It's been a while since I posted a good book on here. Or just posted in general but that's another story. Partly why I haven't posted a good book is because I haven't been reading as much as I would have liked. And partly because, the things I did read were kinda just eh, okay. Not blogworthy in my opinion. But this book. Oh, how I loooved this book. Loaned to me by a sweet friend who knew my desire for a good (clean) story, The Forgotten Garden was everything she promised and more. The author, Kate Morton, captivated me with her ability to weave together a story of three different women together across three different periods of time linked by their individual pursuits of mystery and self. I just love a book that tells a story from the perspective of multiple characters. It adds so much dimension and keeps me intrigued the whole way through. 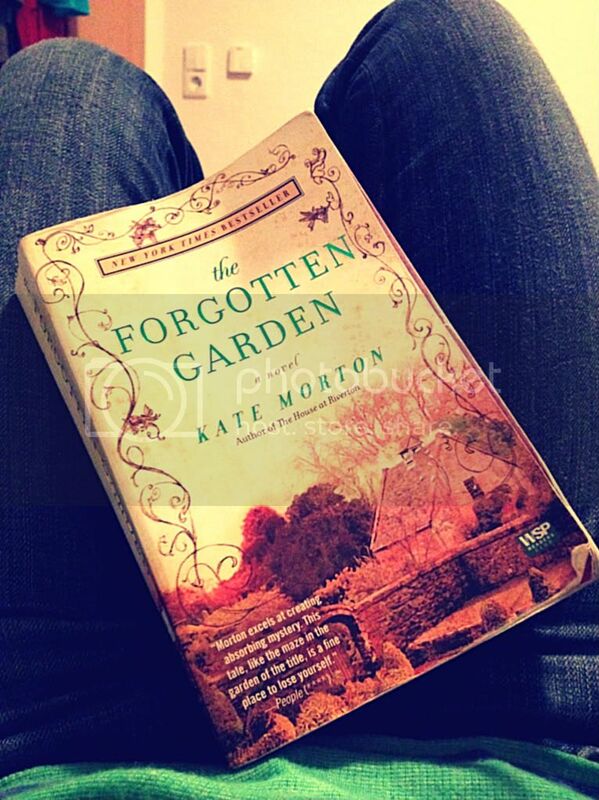 If you're into that sort of thing too, than check out The Forgotten Garden. You will be pleasantly surprised. If you're a woman of course. If you're a dude, eh, I make no promises. This may not be your thing. But if you have a woman in your life who likes to read, then pick this up for her. While I can't promise you will like the book, I can promise she will. And even better than that, she will love your thoughtfulness, which will in turn leave you pleasantly surprised. Guaranteed. It's a win-win on all accounts. :) Here's the link on German Amazon, and here's the link for the American Amazon.